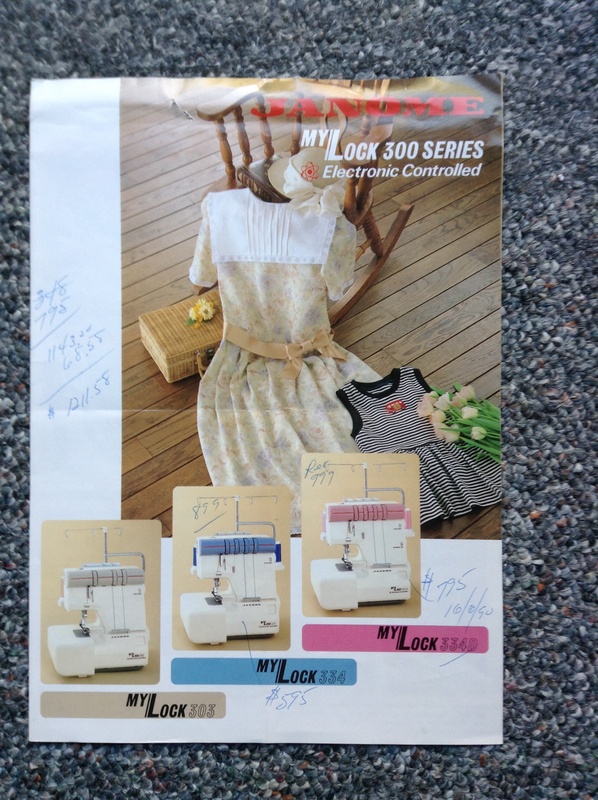 Janome MyLock 334 – Nice dress! Thanks, I made it!! I thought I would take a break from my sewing this lovely long Easter weekend to show you my babies, both Janomes just by co-incidence. I did not buy them together and at the time I was looking for each I wanted the best and most reliable I could get in my budget. I read lots of articles, like this one from Consumer Reports. 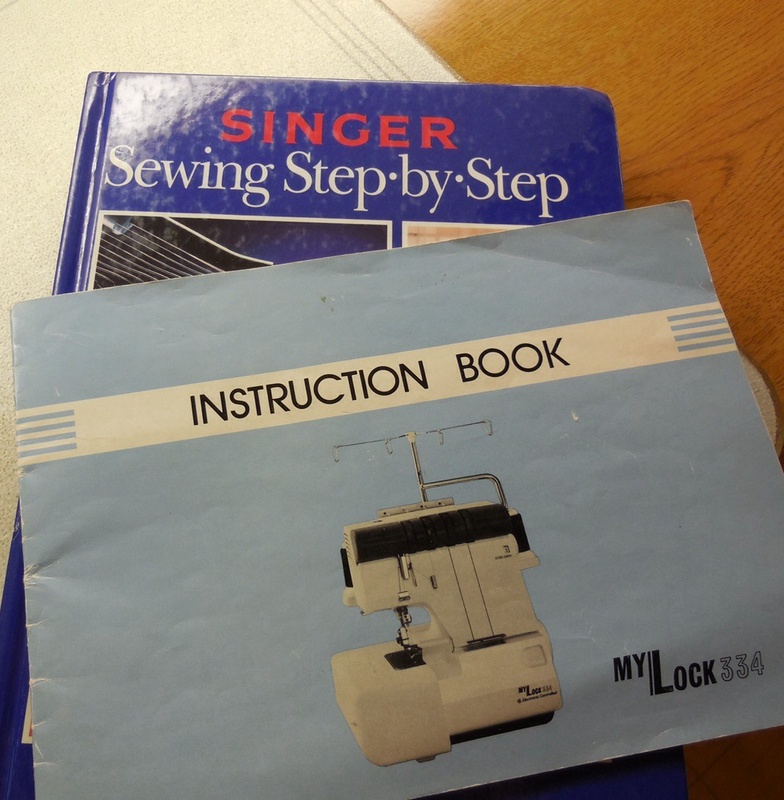 If you Google “how to buy a sewing machine/serger” or other variations that phrase, you will get hundreds of articles! Even Craftsy has an article. I thought this one was cool too. 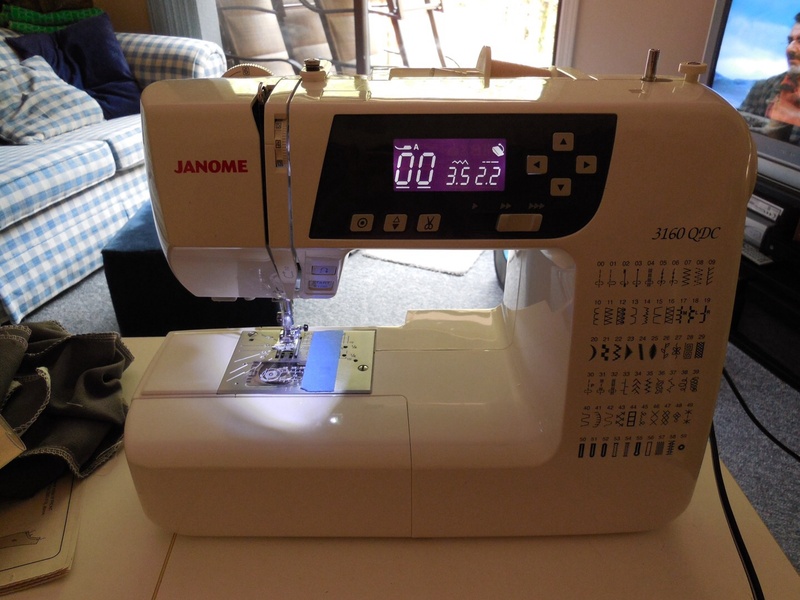 When I was looking, the winners were Janome. 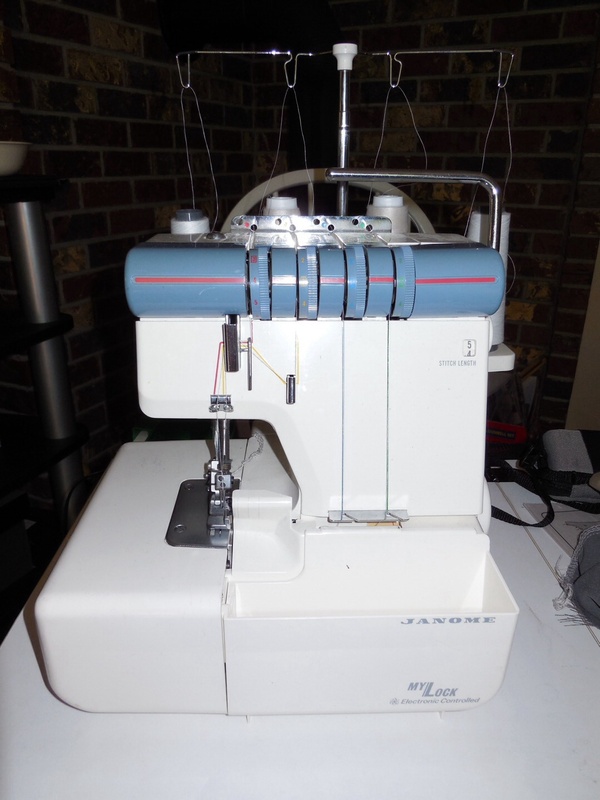 My serger is a Janome “MyLock 334”. It has seen a few years. 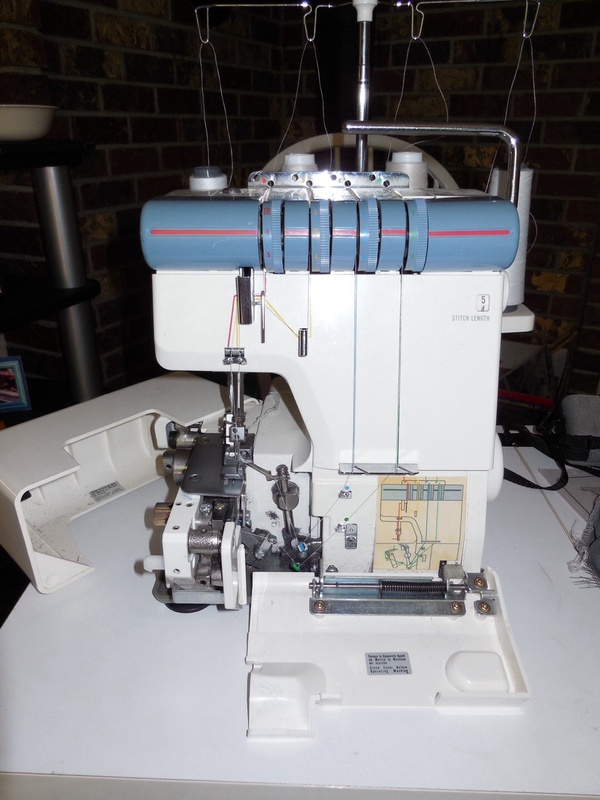 It is my first and only serger and still running strong, although I know it is pretty basic to what is out there nowadays! I just found the pamphlet for it. It has handwritten on it $595.00 and 16/6/90 – I guess that means it is 24 years old? 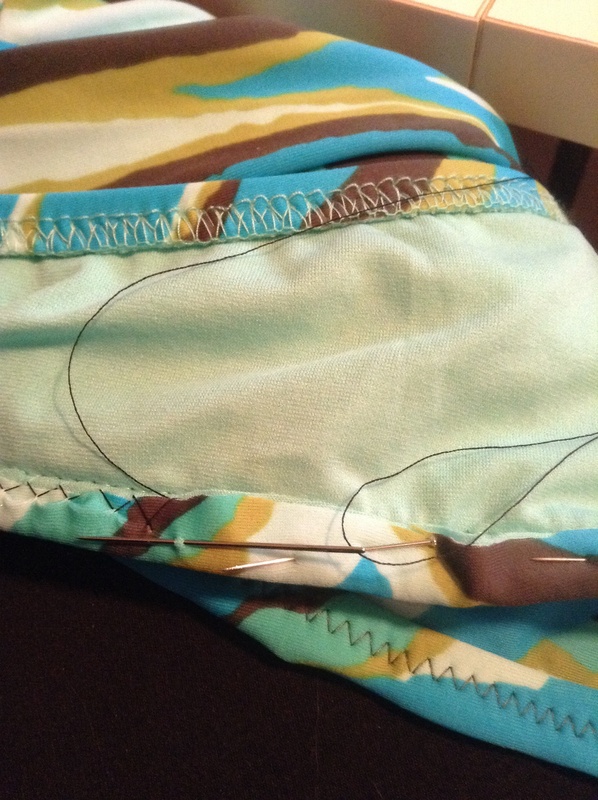 It is pretty easy to thread, being an older serger. 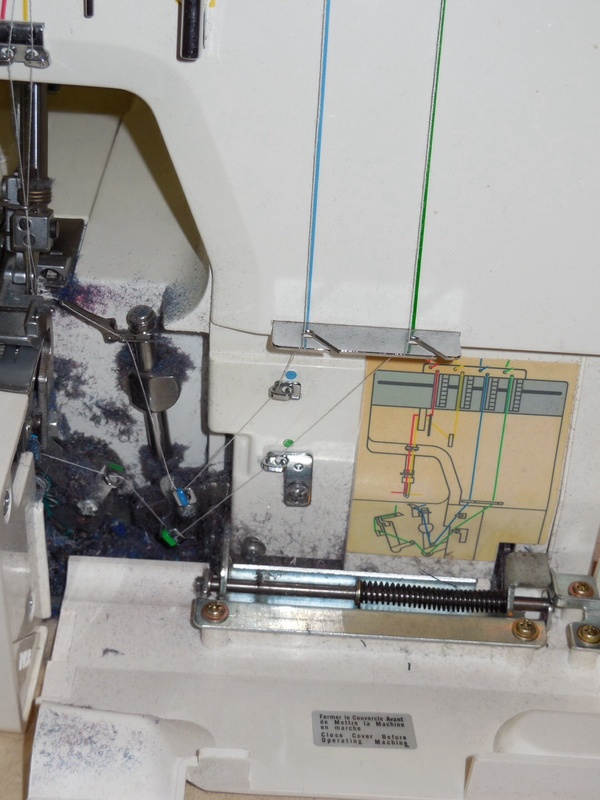 It even has a colourful diagram attached on the inside to follow when threading. 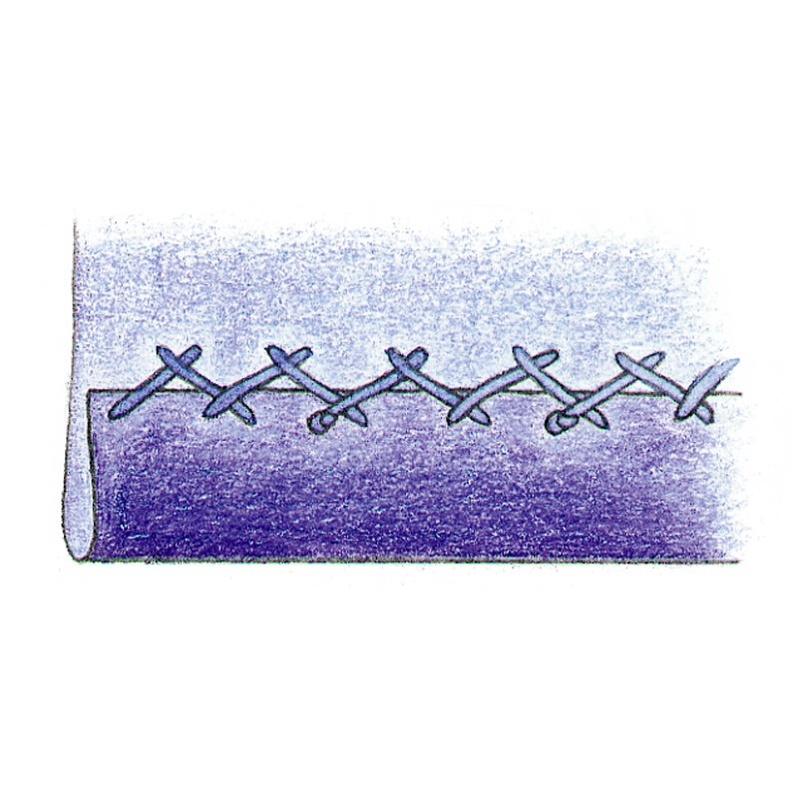 It can do a rolled hem and a couple of other edging stitches. 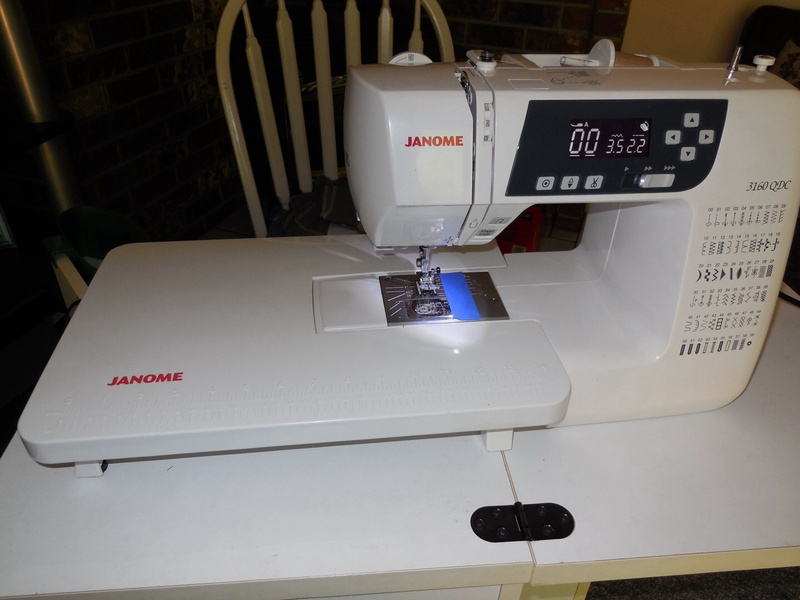 My other baby, my sewing machine, is a Janome “3160 QDC”. 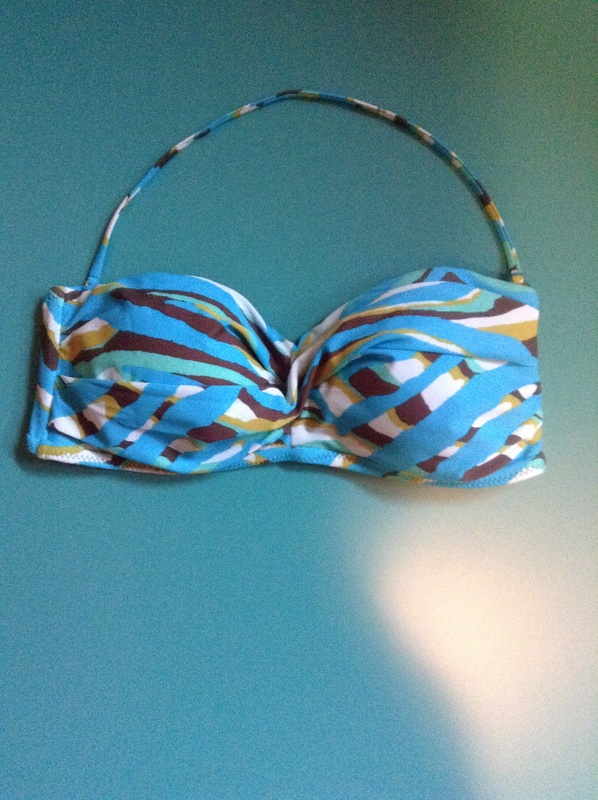 This I purchased in December 2011. Even though I ran fabric through it sampling all 60 stitches, I still haven’t used it to its potential when sewing my projects! 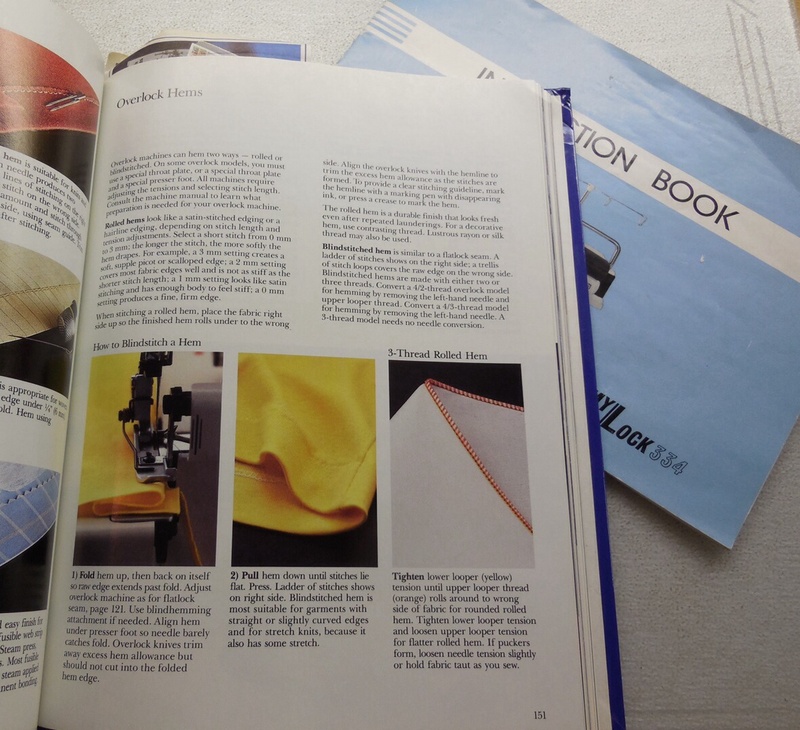 it also came with a quilting table and quilting accessories – the most notable of which is the “walking foot”. 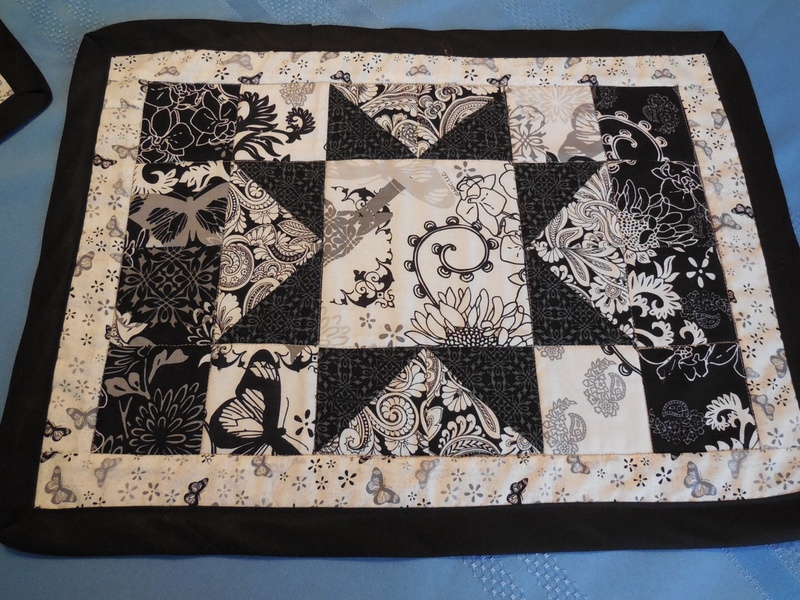 Now I am not a quilter, but I just had to try it all out! 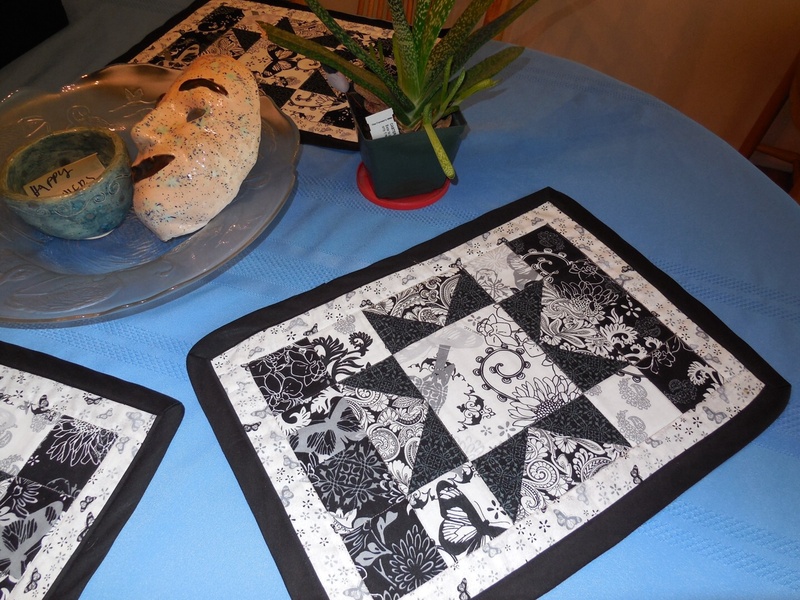 Quilted placemats – which I do enjoy making. What kind of machines do you use? New or old? Are you happy with them? Love to hear from you! Back on schedule again! Perhaps some of you remember my other “Diving into knits” post? 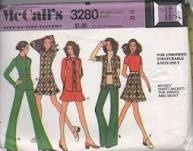 I have been using McCall’s 4261. 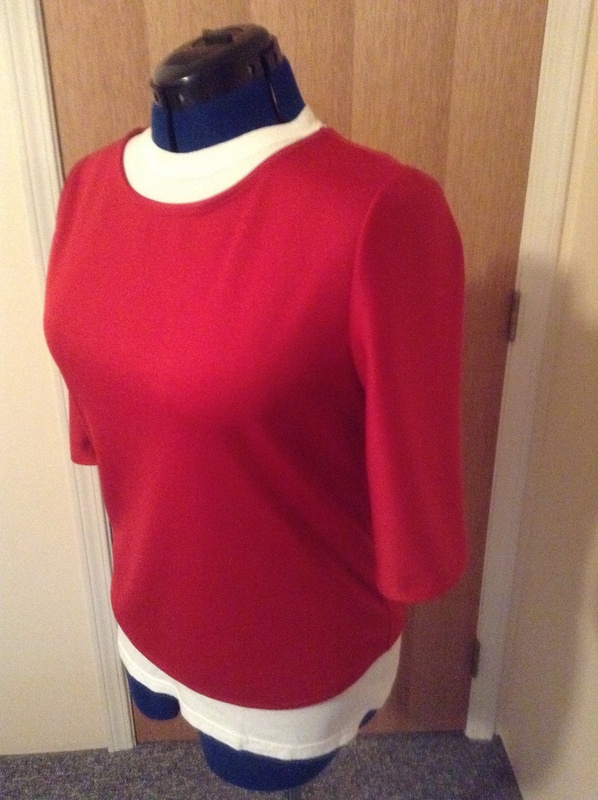 I sewed up my red T shirt, it was such an easy pattern to put together, but I think now it might be too nice to workout in! Now on to my blue yoga pants. Don’t worry! 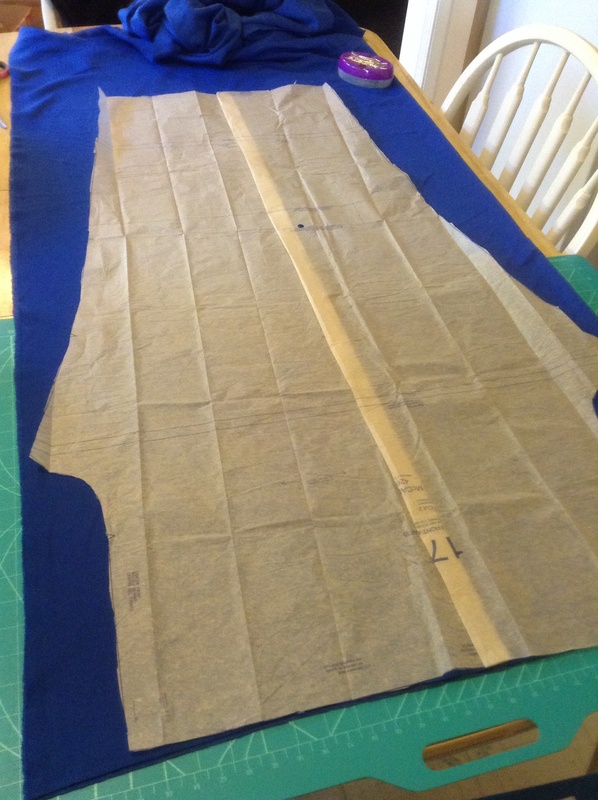 I ironed my pattern piece after taking this photo and before cutting!